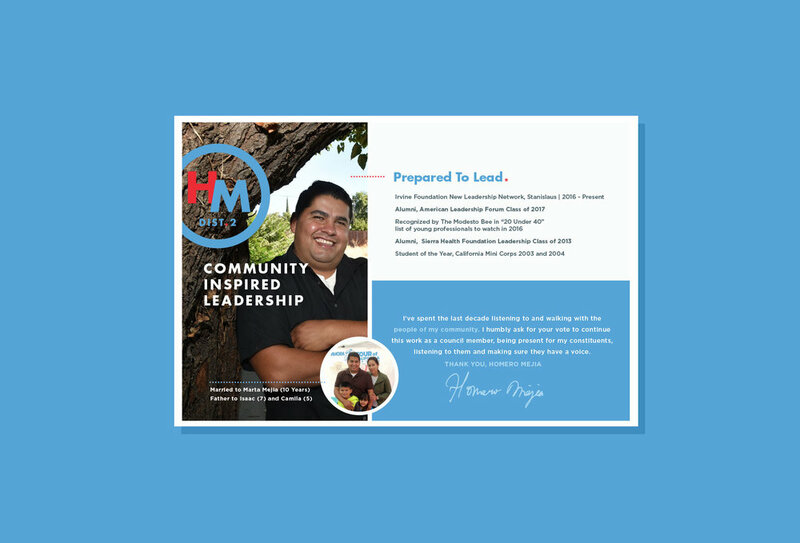 Homero is a long-time Modesto resident who is passionate about our community and making an impact. In 2017 he took the big leap and ran for City Council. Tasks included developing a contemporary, clean, and versatile brand identity.